Today, I’m just going to have to say what’s on my heart. An open letter to the woman who’s generousity healed a heart. Every day I look at Bingley I’m reminded of your compassion. How I want to be a woman who can be that compassionate. To willingly gift something just to cheer someone up. Bingley is currently sleeping behind me, snoring, stretching out his paw every now and then pressing into my back. He is crazy. He is clingly. He tracks so much water from his bowl. He leaves hair all over the place!!! He pulls his crate mat out of his crate and drags it all over the house, and leaves fluff and thread all over the carpet as he thrashes it around. He jumps into the shower if you leave the bathroom door open because he loves baths! He woofs next to the bed when I want to sleep in, and then when I open my eyes he barks as if I’m unaware that he hasn’t been fed. He gets cranky when we stick our feet under him under the blankets. He is a pillow thief! On the bed, and the couch. He is a 75 lb wild animal in our house. He sits for his food, and waits for a command to eat it. He’s great around kids. He’s great with other dogs. He’s protective, and sweet. He loves to cuddle and give kisses. He was there when I received a second subpoena for court. He laid next to me while I had the paper in my hand. Full of anxiety, and fear, and dread. It’s been a long long road but I think I’m getting there. Getting to the point where I’m not going to allow myself to worry about losing him just yet. There was a moment only a few months ago when our mutual friend Chloe brought me to the pet store. Bingley could pull an 18 wheeler on the harness we had for him, and she urged me to try some different ones. First we tried a gentle leader which immediatey sent fear straight to the pit of my stomach. “This thing is only attached to his muzzle, and neck! No way man, I have no control over him.” Was my only thought. So we tried a different one that sat low on his front legs. With every step I swore I’d see him slip it any second. Other customers walked by with their dogs and my body tightened. Lastly she fit him with a prong collar, loosely resting on his neck until he pulled. This one was working. He walked next to me. He listened to my commands. Chloe pressed me for my thoughts on the collar but my words were choking my throat. She attempted to reassure me that though it may appear to be menacing, he was perfectly fine. But my mind was somewhere else. “Natalie what is it?” She said. Then I looked up at her with tears pooling in my eyes. “You can say it Natalie.” She continued. And then, with a year’s worth of build up I broke. 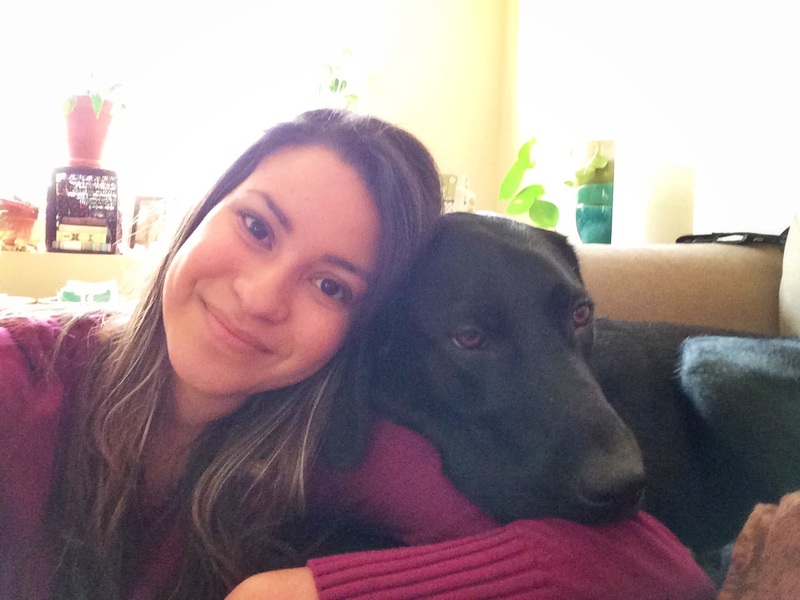 I confessed how terrified I was of losing him. How terrified I was of getting a harness that wouldn’t hold him, or that he would get loose from. And that once again it’d be on me. It would be my fault that he got loose, and I don’t want to live through those consequesnces again. 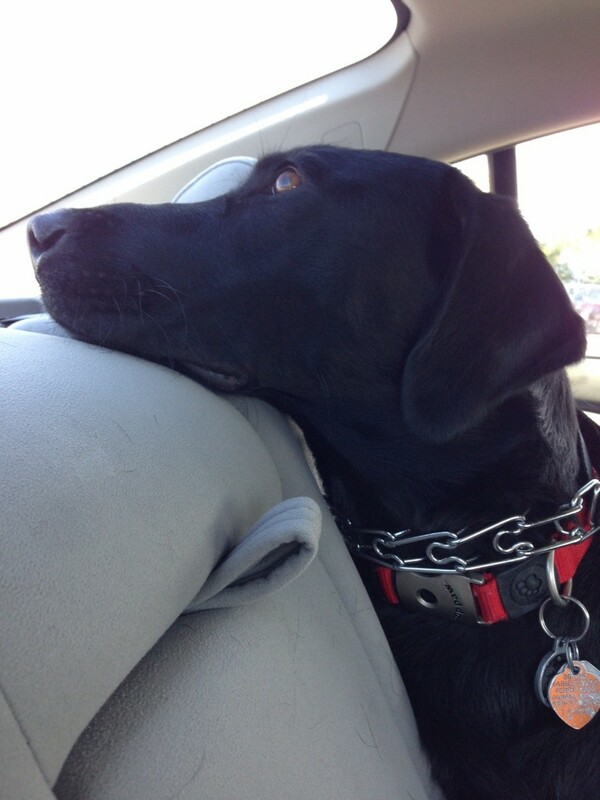 The truth was, this collar was the first one that I’d felt comfortable walking him in. I realized I could finally let go. As always, thank you for providing me with the chance to face my fears. And while doing so being in the constant companionship of this sweet dog. You’ve made us family. You see, I am fond of books, and Netflix binges, and fuzzy socks, and my couch with cozy pilows and blankets. I am fond of keeping my home, my personal space tidy, and inviting. I am fond of my craft room where I’m able to put my creativity to practical use. On a rainy day I want to snuggle up at home. On sunny days I want to go on dog walks in the park, and out for coffee on my own. 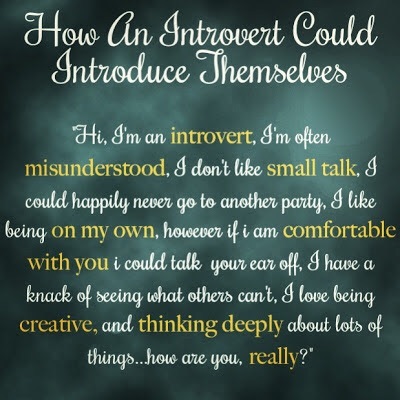 It’s who I am, it’s why I’m best understood through writing, and I think I’m ready to stop being ashamed of it, and help others understand their fellow introverts. 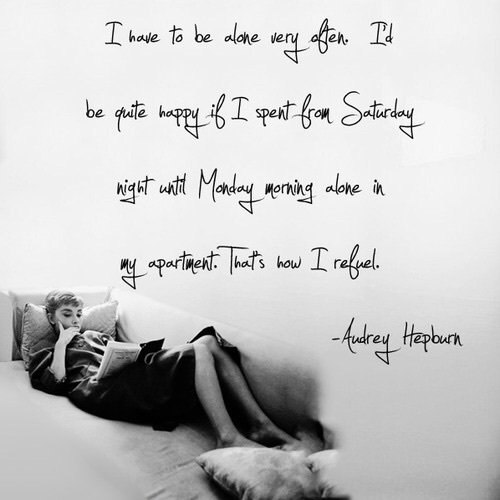 I’m not lonely, I’m not bored, I’m simply recharging when I wish to stay in. Know that if you have an introverted friend they are not always going to want to make an event of things, or be around a ton of people. Especially people they’ve never met. 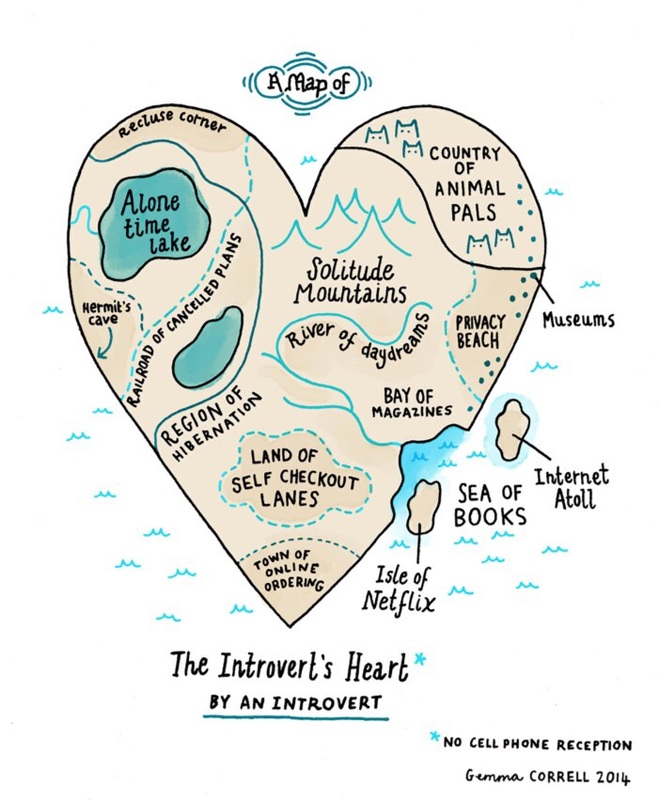 But if you have an introverted friend you must be extra special, because if they have deemed you worthy of their time you must be pretty rad. Now that you have a better understanding of how I happen to be wired here’s some Introvert myths I’m ready to bust. I wanted to say “Oh yes Myth 1, and 6, and 10 are all so true.” But really they’re all right on, and you’d do well to take our word for it. Thanks for listening friends, I’ll step off my soap box, put my jammies on, and make myself some hot cocoa now. Cause that’s what I do. This Introvert is done for the day. I’m a big fan of candlelight, so I needed to find a way to use up every drop of my candles. 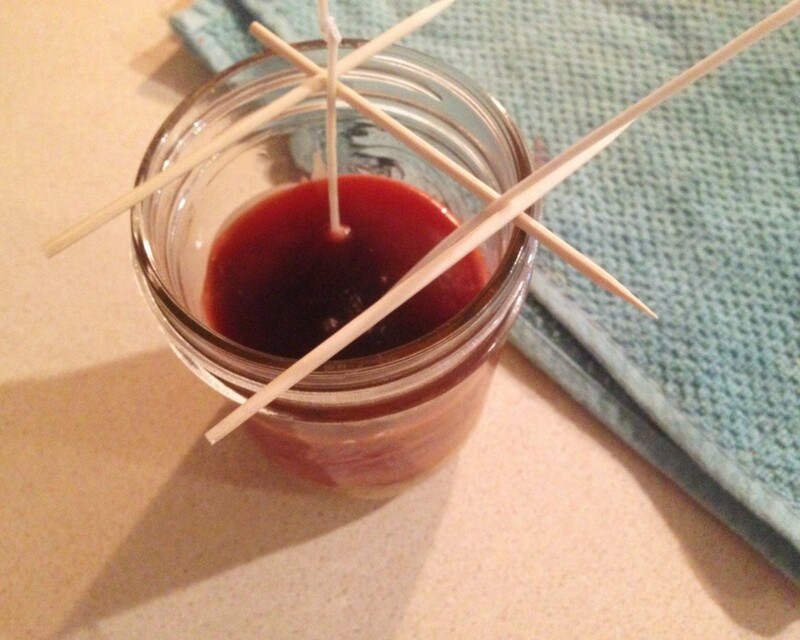 Candles typically blow out with about 1/2 an inch of wax left over. When this happens stow your candles away together to be made into a new layer candle. This project is fairly easy, but keep in mind it can be time consuming to do all at once. I used 8 left over candles in a wide mouth, pint sized mason jar. Be sure to only layer scents in the same scent family. i.e keep fresh linen with sea breeze, and hazelnut with sugar cookies. My candle was a vanilla, pumpkin, apple pie, lemon, sweet scented combo. 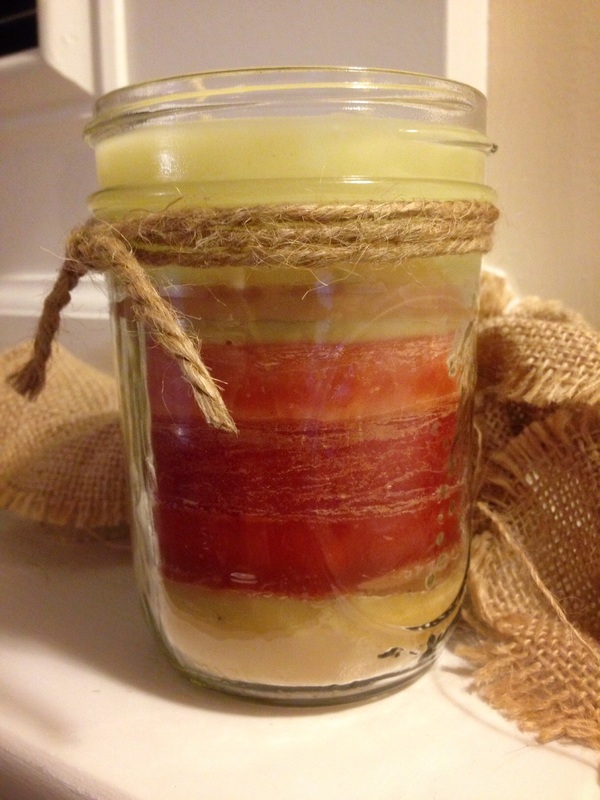 The trickiest part of creating this candle is getting the wicks to stay in place. I’ve tried hot glue before, adhesive, and nothing seemed to work. Your best bet is to place 2 wicks in the center of the jar. In the case of one sliding off to the side you’ll have another to even it out. I’d recommend placing the wicks in the center of the jar, and pouring your first candle’s wax in, allow it time to harden, and then continue. I placed little skewers on the jar to try and keep the wicks from falling. 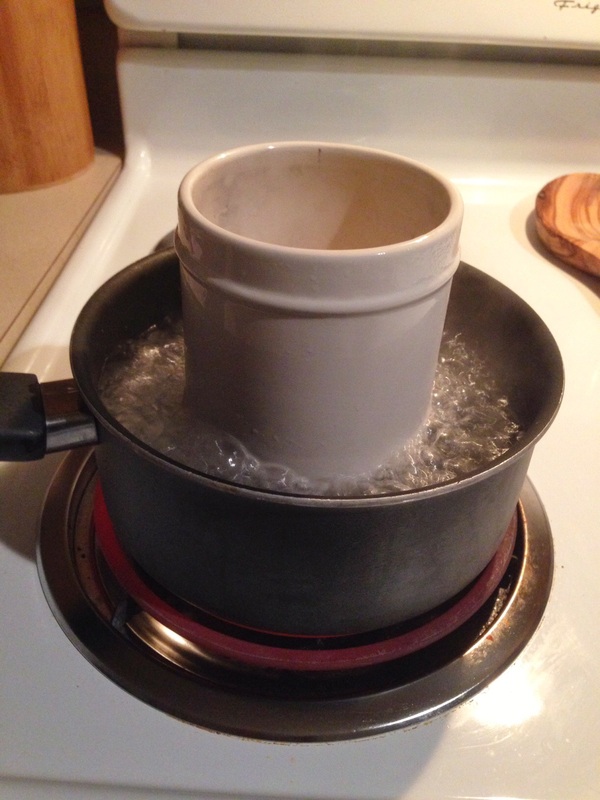 To melt down the wax boil a pot of water and set your candle inside being careful that no water enters the candle. The thicker the jar the longer it’ll take. 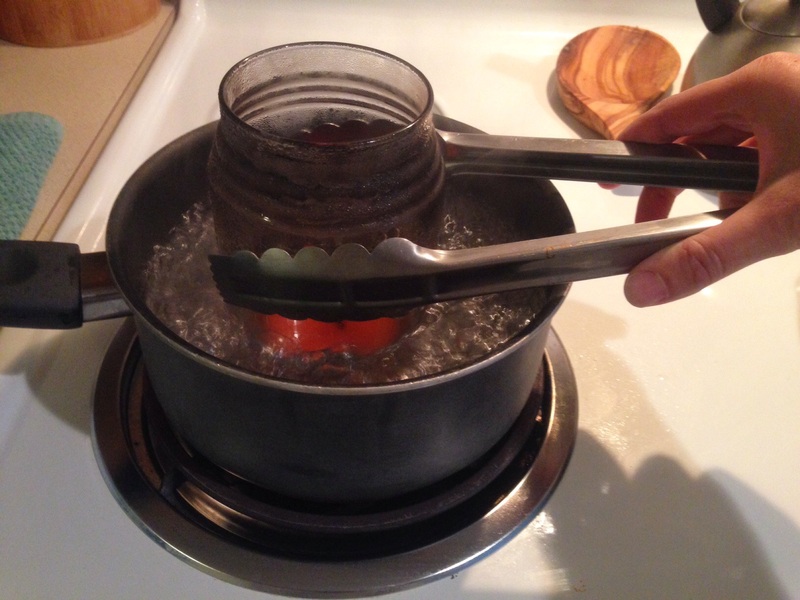 Swirling it around often with tongs will help to distribute the heat, and melt the wax faster. 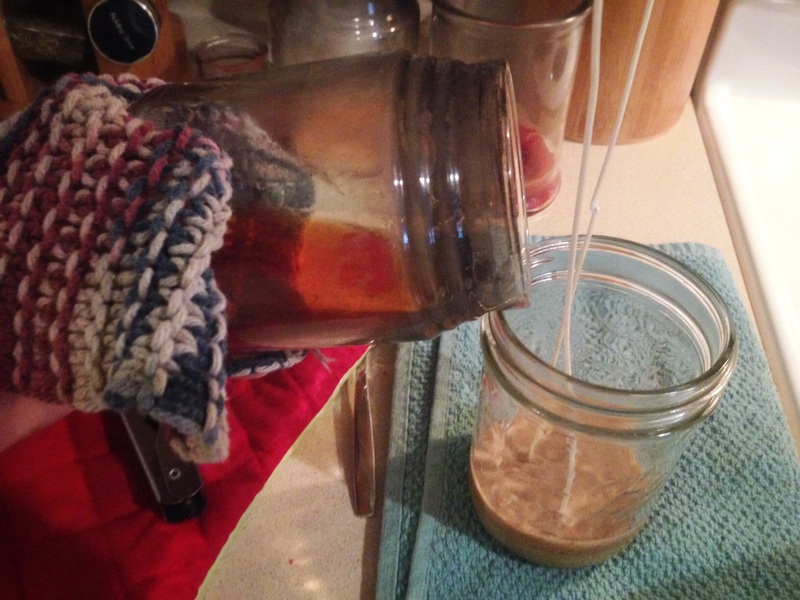 Once the wax has fully melted pour it into your jar and allow it time to harden. You could place it in the fridge in between pours to let it cool. Continue doing so until you have melted down, and poured all of your candles. 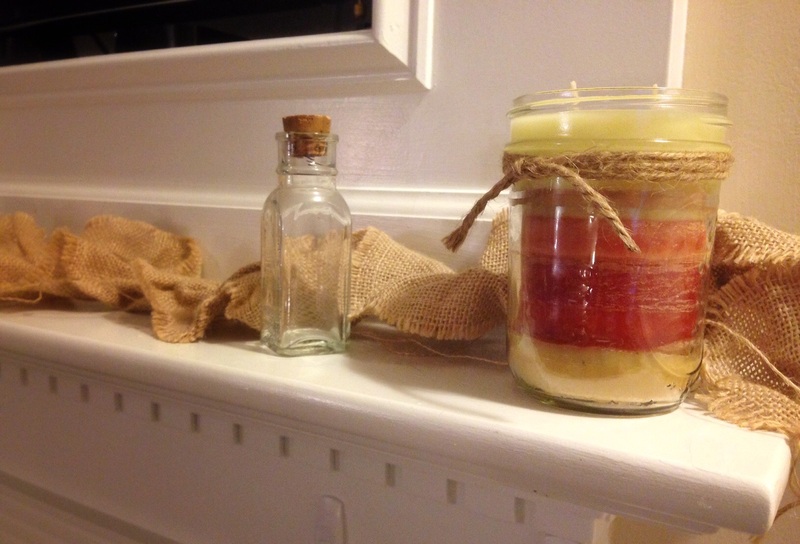 Originally I started with 6 candles, and they did not quite fill the mason jar I had. I decided not to cut the wicks and wait until 2 more candles were finished off. I had one candle that was almost out, and all the wax was liquified. That’s when I realized a shortcut. 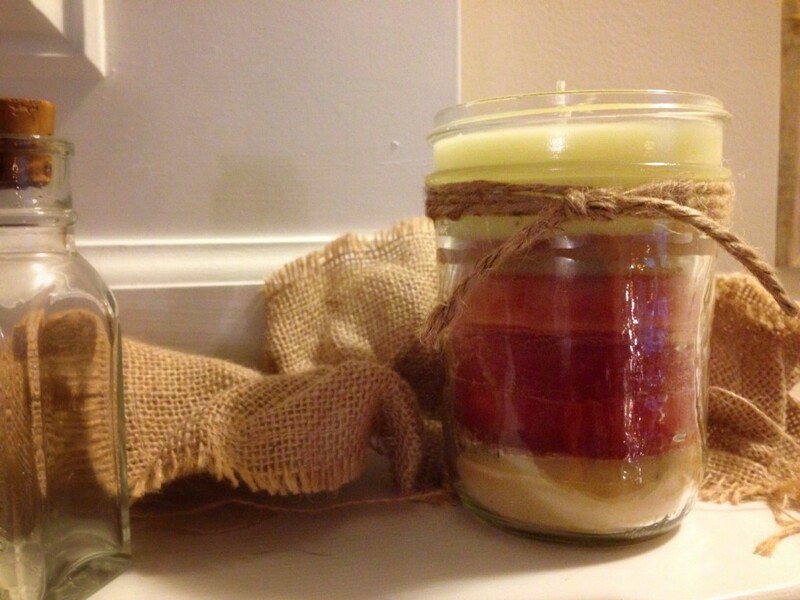 I grabbed the unfinished layer candle and went ahead and poured the wax in. 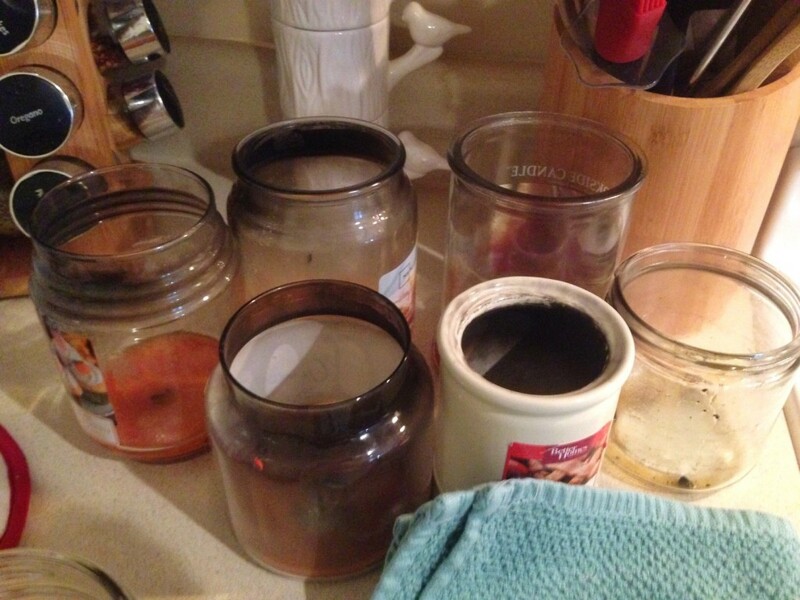 Essentially you could skip the time consuming boiling pot of water step, and whenever your candles are about to go out, and are completely liquified pour them into a prepared jar. It’s much quicker, and easier that way. Look at all those pretty layers. 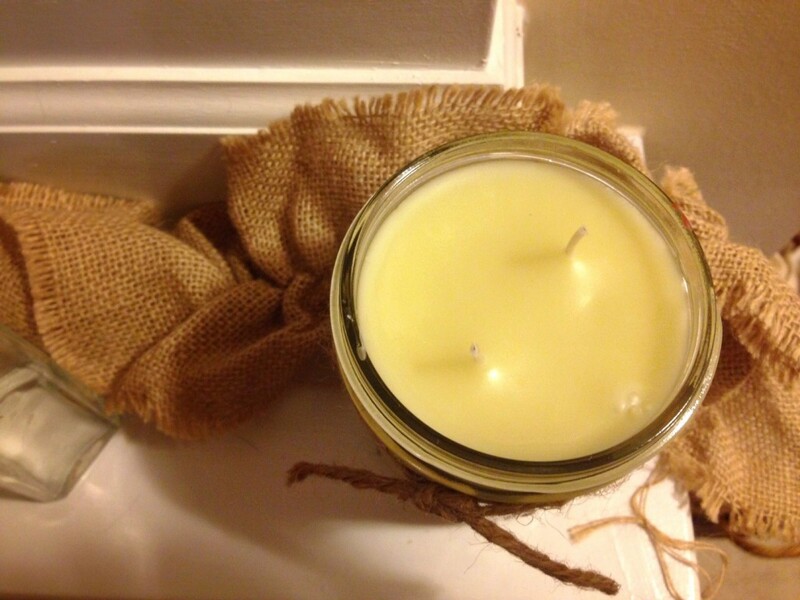 Cut the wicks and enjoy your new candle!